Influential heavy music act Zao will release its new album, "Awake? ", on May 5 via Ferret Music. The follow-up to 2006's "The Fear Is What Keeps Us Here" was recorded in Latrobe, Pennsylvania (near Greensburg); Pittsburgh, Pennsylvania; Encinitas, California; and San Marcos, California. As I Lay Dying frontman Tim Lambesis and Daniel Castleman headed up the proceedings, along with Zao's Scott Mellinger, for what is shaping up to be another monumental Zao album. According to a posting on Zao's MySpace page, "Awake?" features a brand new version of "Romance of the Southern Spirit", which "has finally been given the sonic quality it deserves with a brand new recording that smashes the basement b-side version you've heard." 06. What Will You Find? Commented the band: "We can't wait for you guys to hear this album! We are very proud of it, and in our humble opinions, it is very reminiscent of what you have come to know and love about Zao over the years. Every band likes to say, 'This new album is our best yet,' so we won't say that to you. We know that albums like 'Blood & Fire' and 'Liberate' will always be fan favorites and they are special to us as well. But with that being said, believe us when we say that we strongly feel 'Awake?' is a more than worthy addition to our catalog." Zao's "Where Blood & Fire Bring Rest" was hailed as "one of the most the most influential albums of 1998" by Alternative Press magazine. That album, which introduced frontman Dan Weyandt to the heavy music scene, and follow-up "Liberate te ex Inferis", which introduced guitarist and songwriter Mellinger, continue to be cornerstone albums to a new generation of bands drawing influence from Zao's dark, passionate and creative music. "Zao is a band that has influenced all types of bands in the heavy music genre, from the Deftones and to my band," offers Lambesis. "I'm very excited be a part of bringing them the production their band has always deserved. This record will be the Zao sound that fans and musicians like myself have been waiting to hear for a long time." The lineup for this Zao album is the same as "The Fear...": Longtime co-conspirators Weyandt and Mellinger alongside bass player Martin Lunn and drummer Jeff Gretz (From Autumn To Ashes). "Recording Jeff Gretz's drums was the most relaxing and professional studio experience I've ever been a part of," boasts Lambesis. "That guy is a true pro and the standard by which I will judge every other drummer I record at Lambesis Studios in the future." 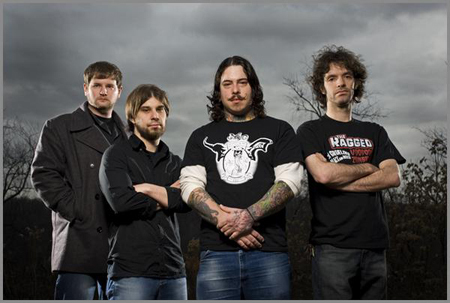 Zao's two Ferret Music albums, "The Fear Is What Keeps Us Here" (2006) and "The Funeral Of God" (2004), are among the biggest selling and most important in the band's impressive catalog. "Funeral" was produced by Erik Rachel (Every Time I Die) and "The Fear..." was recorded by Steve Albini (Nirvana). The band has toured with In Flames, Trivium, Shadows Fall and in the past took bands like Underoath and Unearth on tour as their opening acts.